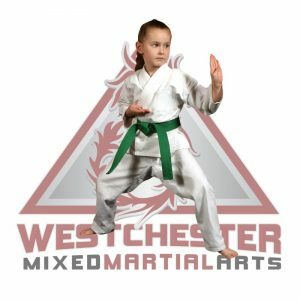 At Westchester MMA-FIT, we know that each child has their own set of strengths and challenges that make their learning experience in the Kids Martial Arts Program unique. Each age group has a specific range of developmental abilities and characteristics. Our approach values the importance of respecting developmental stages, while still encouraging children to challenge themselves as they develop new skills. 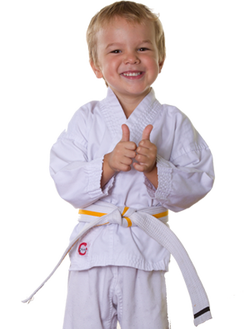 Our Kids Martial Arts classes are safe, fun, and promote lifelong values of commitment and discipline. 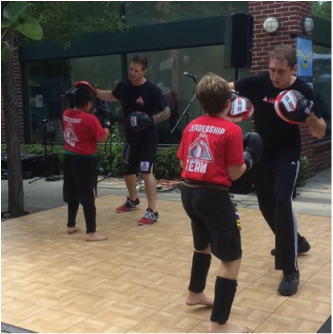 Our Tiny Dragons program is designed to build the foundation for successful martial arts training. Students participate in martial arts drills and fun group activities. Through these classes, children develop gross motor skills, practice following directions, and enhance their listening skills. 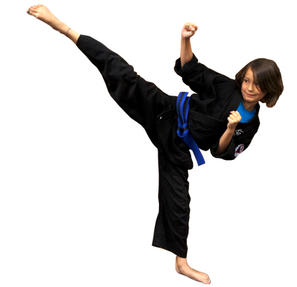 Our Basic Training program builds upon the foundation of martial arts and self-defense. 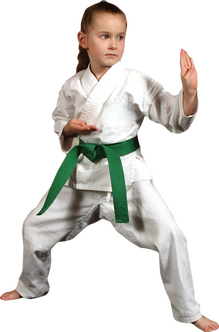 Basic Training martial artists will enhance their complex and fine motor skills, while learning the importance of focus, self-discipline, and responsibility. Lessons from class can be applied in real life, which translates to greater self-discipline in academic and extra-curricular activities. The Black Belt Training Program takes students on their next step towards Black Belt excellence. This program includes safe sparring drills and advanced self-defense classes. Students become immersed in a culture of integrity and respect. They will learn realistic and effective techniques that not only protect them from harm, but also instill them with the confidence to avoid being a target of bullying. Premier Training students begin to learn the art of Brazilian Jiu-Jitsu (BJJ). 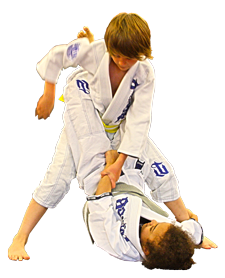 The addition of Jiu-Jitsu teaches students to master the ground game and control any physical altercation, even against a larger aggressor. This style of training helps students develop unshakable confidence and continues to reinforce the importance of goals-setting and achieving milestones, as they work towards their black belts in BJJ. As a member of the Leadership Team, students will receive instructor training and begin to assist the head instructor with teaching classes. Leadership Team members learn how to perform demonstrations and will represent the school at various local public events. Leadership Team focuses on developing life skills such as public speaking and good citizenship; Each year, the Leadership Team organizes a charitable event for the community. Our more distinguished Leadership members are given the opportunity to work part-time as an after-school job.